Started in 2002, Advantage Truck Accessories has an option for nearly every truck on the road. With options for domestic and foreign trucks from 1967 on, it's safe to say Advantage has your truck covered! Focusing on quality products, Advantage has taken the truck bed cover market by storm. Purchased in 2011 by THI Corp, Advantage is in familiar company. Sister companies include BAK, Extang, TruXedo, Undercover and more. 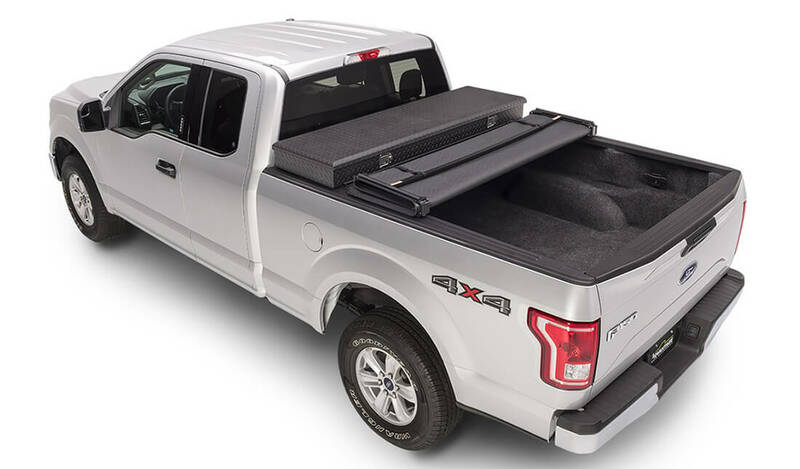 The Hard Hat Tri-Fold Tonneau Cover by Advantage offers a flush, flat design. 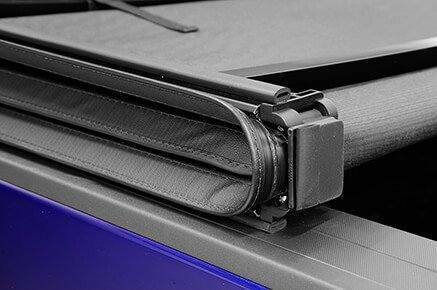 Due to the design of the truck bed cover, your vinyl top will not suffer from any bowing. It will have a smooth, flat surface on top. Because it's a tri-fold design, this bed cover will give you multiple access points for your cargo. It comes completely pre-assembled and will install within just a few minutes with no tools required. 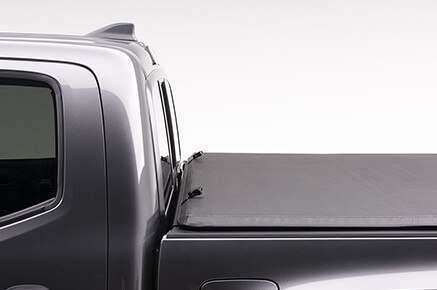 The Advantage Sure-Fit Tonneau Cover is what is considering a "roll-up" or "rolling" truck bed cover. To operate, you just snap or unsnap the integrated snaps along the truck bed rails and roll the cover up to the desired position. It can be rolled all the way to the bulkhead for easy operation. Need something in the corner? Just unsnap the corner - no need to open the entire cover. 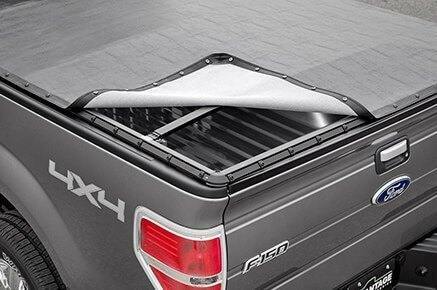 Changes in weather can expand or contract vinyl tonneau covers, so this cover has tension tabs to adjust the tension to your desire. The TorzaTop Tri-Fold Tonneau Cover is Advantages "best in class" tonneau cover. It features a tear resistant and UV coated vinyl top for maximum protection against the sun and every day wear. The tri-fold design allows for multiple access points to your cargo and can be easily opened or closed. It comes fully pre-assembled for easy installation - no tools required! Advantage Truck Accessories has been making truck bed covers and other truck accessories since 2002. Advantage's tonneau covers are made for a wide range of applications, fitting most domestic and foreign pickup trucks from 1967 to today. This advantage (pun intended) is unique as most tonneau cover companies only focus on newer model trucks. In 2006 the Hard Hat tonneau cover was named best new truck/SUV product at SEMA (the largest car & truck aftermarket show). PartCatalog.com is a proud retailer for Advantage Tonneau Covers. For more information on Advantage, please visit the Advantage official website.